Adopting and fostering a Lean Start-Up mindset. Planning and executing in parallel as much as possible to deliver results faster. If you’re looking for an experienced, professional project/program manager I would love to talk with you. Click on the “Contact Information” link at the top right. I am a PMP-certified project manager with well over 10 years of IT project and program management experience in a wide variety of industries and environments. I’ve led and managed projects such as enterprise data warehouse and reporting, global document repository system development and rollout, website content and functionality updates, custom software development, SAAS implementations such as Salesforce.com, security system and infrastructure buildouts and upgrades, and many others. I’ve led teams distributed across the U.S. and a few worldwide (EMEA, APAC, South America, etc.). 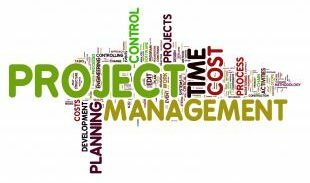 Having managed many projects concurrently I’ve developed the time and resource management skills to keep projects on schedule and on budget. Being experienced in many different environments I’ve built up a large “PM toolbox” of ideas, templates, examples, methodologies, etc., that I use to plan out projects and solve problems. Before moving into project management I spent many years working as a software developer, lead and architect so I have the background to lead a technical team and drive technology projects. Combining this with my business experience allows me to clearly communicate the strategic picture (program/portfolio plan, high-level timelines, etc.) to executives, requirements, timelines and budgets to sponsors and stakeholders, and to collaboratively develop the bits-and-bytes implementation details with the technical team. My resume is available in PDF and HTML format. When you click on the links below my resume will be displayed in a new browser window.